Today is the second day of a two day Fall/Winter Die Release Celebration for Impression Obsession, and I hope you enjoy the inspiration! All of the new products you see on our celebration posts yesterday and today are available now on the Impression Obsession website. The card I made for today’s post features another one of my favorite dies from the release, Santa Head. The Santa Head set comes with several sizes of beards you can use to create Santa. Use one, or several layers, to create your Santa! I die cut all of the pieces I wanted to use from heavy white 110lb cardstock and colored the shapes with markers. This is much faster, and provides a bit more control over colors than die cutting all of the shapes from various colors of card stock. I assembled my colored layers, added a sparkling pom-pom, touch of holly and a little red gem to his hat, a few white highlights here and there, and adhered him to my card. Super cute, Ho Ho Ho! Let me know what you think of my card! 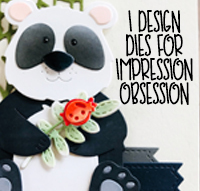 I will be giving away one $10 Impression Obsession gift certificate, drawn at random from comments left on my Fall/Winter Die Celebration posts (there are two posts - a comment on both posts means you will have two chances to win the gift certificate!) Comments will remain open until Noon Pacific on Saturday September 29th. The winner will be announced on my blog and the Impression Obsession blog on Monday, October 1st. Today is the first day of a two day Fall/Winter Die Release Celebration for Impression Obsession, and I hope you enjoy the inspiration! All of the new products you see on our celebration posts today and tomorrow are available now on the Impression Obsession website. The card I made for today’s post features what might just be my favorite die from the release, Deer Frame. I die cut Deer Frame from heavy white 110lb cardstock and carefully removed the negative space pieces from around the die cut design. I used various colors of brown ink to color the die rich shades of brown. For added visual texture and interest, I then stamped the image with the large cover a card stamp, Beauty Text. Next, I carefully inked the negative pieces of the die, making sure to keep some areas light in color, and some areas dark, depending on where they were going to be placed next to the deer. Once I was happy with the inking, I put the negative space pieces back into the die like I was putting together a puzzle. I added a hemp cord bow and old brass button on top of die cut pine and pine cone pieces I made with another favorite of mine, the Pine Sprig Cluster die set. Let me know what you think of my card! 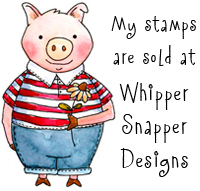 I will be giving away one $10 gift certificate, drawn at random from comments left on my Fall/Winter Die Celebration posts (there will be two posts - a comment on both posts means you will have two chances to win the gift certificate!) Comments will remain open until Noon Pacific on Saturday September 29th. The winner will be announced on my blog and the Impression Obsession blog on Monday, October 1st. A new challenge is being shared today on the Impression Obsession Blog, and I hope you join the fun! 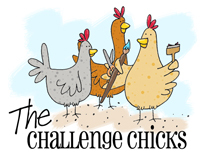 This week’s challenge is Things with Wings. Pull out your Impression Obsession stamps and/or dies, and join us! To create my card, I used the Owl Frame die, which is A-mazing! I die cut the owl frame from heavy white 110lb cardstock. Once cut, I colored some areas of the die with markers, and used various shades of brown and black inks to color the die. Then I stamped the image with the large cover a card stamp, Beauty Text. I set the cut and colored image over a super sparkly black glitter card stock base, and added a twine bow and button. This die makes for a beautiful, yet super easy, clean-and-simple card. For a wonderful dose of inspiration, pop on over to the Impression Obsession Blog for a complete list of designers participating in this week’s challenge. Enjoy the inspiration! A new challenge is being shared today on the Impression Obsession Blog, and I hope you join the fun! This week’s challenge is Rainbow Colors. Pull out your Impression Obsession stamps and/or dies, and join us! To create my card, I used the Heron & Lake die which is amazing! I used a rainbow of Distress Ink colors blended together to create the sunset behind the die cut image. This die makes for a beautiful, yet super easy, clean-and-simple card. I’m delighted to be participating in the 10-year birthday celebration for Taylored Expressions today! In honor of their special 10-year celebration, I made this super cute (if I do say so myself... Ha!) birthday card using the Happy Hens stamp and die set and the Llama Love stamp and die set. I also used the Cable Knit embossing folder to create a textured card base. I love it! I stamped the images on white card stock in black ink and colored them with alcohol markers. I added a bit of Stickles glitter glue for a bit of sparkle and shine. Look at those personalities!! Adorable! Happy Birthday, Taylored Expressions!! I wish you many more happy-stampy years filled with creativity and fun! Visit the Taylored Expressions blog and join in their birthday celebration fun! Cheers!